Having problems utilizing the brightness control on an outside Light-emitting Diode Cinema show? I am publishing this purely as a possible solution for anyone whom might be Googling for a solution to the same Light-emitting Diode Cinema Display screen brightness issue I wrestled with a week ago. 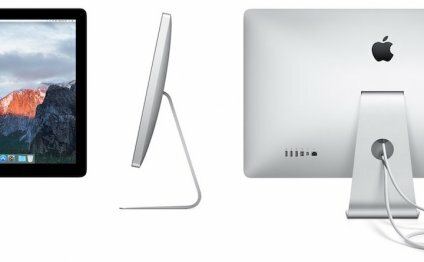 Whenever setting up a non-Thunderbolt Apple 27" LED Cinema Display as a secondary monitor for an iMac (mine is a 27" iMac 11, 3, 2.8 GHz Intel Core i5, mid-2010), there may be problematic controlling brightness from the additional monitor. There isn't any physical brightness control in the 27" LED Cinema Display, when you link the secondary monitor through Mini DisplayPort, although the rest generally seems to work fine, there is no digital brightness control for 2nd monitor when you look at the program Prefs—>Displays panels either, it doesn't matter how you have the screens organized. With assistance from a number of specialists, I tried about 50 % several possible solutions over a number of times. It stumped several Apple specialists, to the level the AppleCare Tech help Supervisor was about to send a help pass on Apple engineers in Cupertino. The solution usually, even though external monitor works in almost every other means in just the Mini DisplayPort cable connected, to displace the brightness control you ALSO need to link the USB cable. (This also activates the USB ports from the exterior monitor, so it features that extra benefit.) The Brightness slider after that magically appears in proper control panel. Hope it will help some body nowadays at some time. Scott: "Further, if you want fine control over brightness, as when profiling, and one 'block' is too much, push the Shift & Option keys while you press the brightness secret while the amounts go up and down within one one-fourth prevents." Patrick Perez: "therefore it has come to this: Mike Johnston is providing computer system technology support/advice. I believe i simply saw a pale horse ride by. We kid! Thanks for another great year of reading here over the top to Mike along with his musical organization of contributors, plus the wonderful group that adds plenty when you look at the just comment part I regularly read on the web."